As the name suggests, it is bright orange in colour, tangy (sometimes sweet, sometimes sour) in taste… and is easily available in the market. It is a juicy fruit, packed with loads of vitamin C. It is your way to stronger immune system! An excellent source of vitamin C, it has a disarming effect on free radicals which cause damage to the cells in our body. It is rich in antioxidant content and so boosts immune system. It is a cardio protective effect and so is recommended for heart health. Many researchers are trying to prove its cholesterol lowering effects. It is known to improve respiratory health as well. This fruit has some healing properties associated with compounds known as phytonutrients. 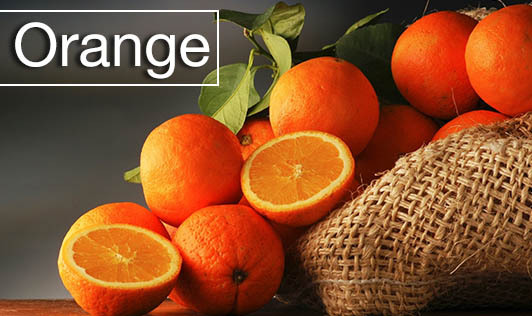 Myth: Oranges should be avoided (as they are sour in taste) if one has cold and cough. Myth: Eating orange will lead to muscle soreness in athletes. Fact: : Orange is a good source of potassium. Potassium is known to play a role in relieving the muscle cramps and/or soreness. So, oranges can actually be beneficial for athletes. An orange in between meals makes a very healthy snack. Add small pieces of oranges to your salad to give a tangy taste. A glass of fresh orange juice (without sugar) is a good option sometimes instead of going for sodas. Orange pieces can be added to desserts like cakes, pastries, muffins, pie, smoothie, etc. Orange peel can be grated and used in dishes like vegetable stew, or salads. Orange can be used to prepare jams, marmalade and jellies.